Robert Thomas Velline was Born in Fargo, North Dakota to Sydney Ronald Velline and Saima Cecilia Tapanila on April 30, 1943. Velline’s career began amid tragedy. On “The Day the Music Died” (February 3, 1959), the three headline acts in the line-up of the traveling ‘Winter Dance Party’—Buddy Holly, Ritchie Valens and the Big Bopper—were killed, along with 21-year-old pilot Roger Peterson, in the crash of a 1947 Beechcraft Bonanza v-tailed aircraft near Clear Lake, Iowa, while en route to the next show on the tour itinerary in Moorhead, Minnesota. Velline, then aged 15, and a hastily-assembled band of Fargo, North Dakota, schoolboys calling themselves the Shadows volunteered for and were given the unenviable job of filling in for Holly and his band at the Moorhead engagement. Their performance there was a success, setting in motion a chain of events that led to the renamed Bobbie Vee’s career as a popular singer. His first single with “Suzie Baby”, an original song penned by Vee that nodded towards Buddy Holly’s “Peggy Sue” drew enough attention and chart action to be purchased by Liberty Records, which signed him to their label later that year. His follow-up single, a cover of Adam Faith’s UK number 1 “What Do You Want?”, charted in the lower reaches of Billboard in early 1960; however, it was his fourth release, a revival of the Clovers’ doo-wop ballad “Devil or Angel”, that brought him into the big time with U.S. buyers. His next single, “Rubber Ball”, was the record that made him an international star. According to Billboard magazine, Vee has had 38 Hot 100 chart hits, 10 of which hit the Top 20. On March 28, 2011, he became the 235th inductee into the Rockabilly Hall of Fame. Vee was also a pioneer in the music video genre, appearing in several musical films as well as in the Scopitone series of early film-and-music jukebox recordings. He is a 1999 inductee of the North Dakota “Roughrider Award”. 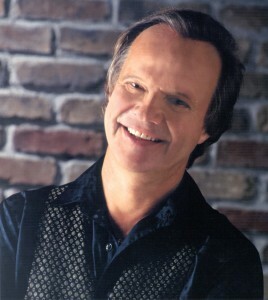 We are honored to induct Bobby Vee into the North Dakota Music Hall of Fame.